we woke up this morning to see so much snow out side. 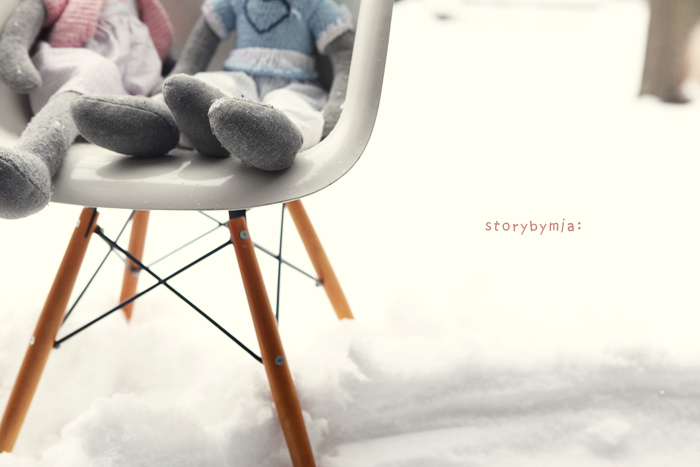 everything looks so pretty when snow is falling. I had to grab my camera and shoot something right away....but than it's too cold out side and I'm still in my pajama. 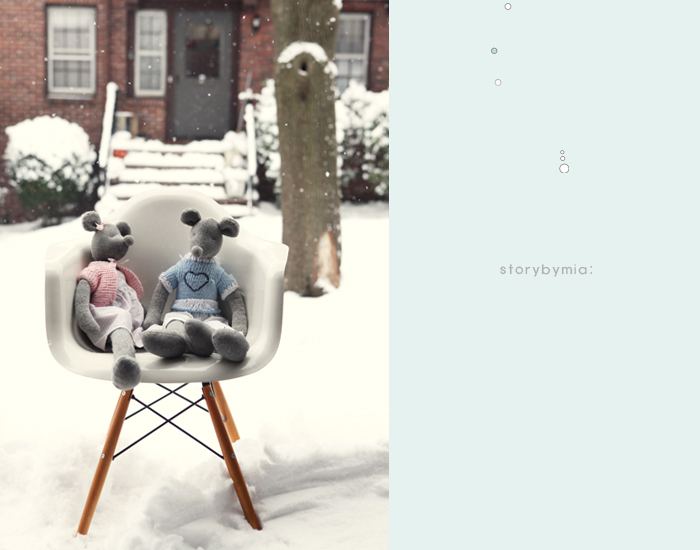 ^____^ So our little mouse dolls get to be our 'snow model' today. Happy Snow Day, everyone. 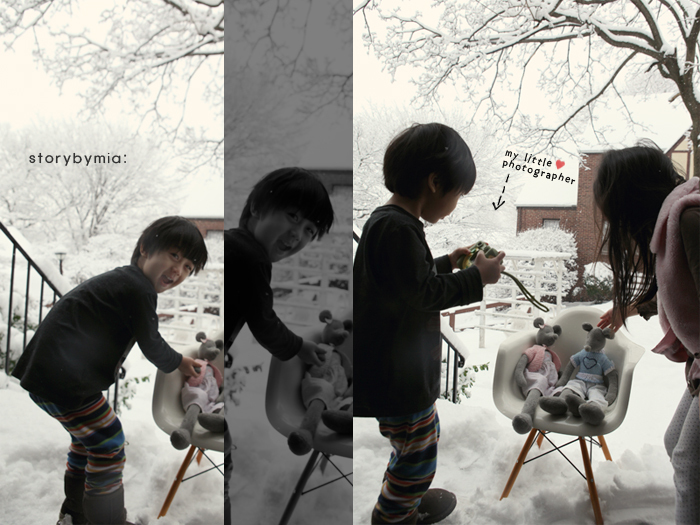 i want to see the result of photos from little photographer!! !